No kernel for P7 and Pipo is still not publishing kernel sources. Result: Same. 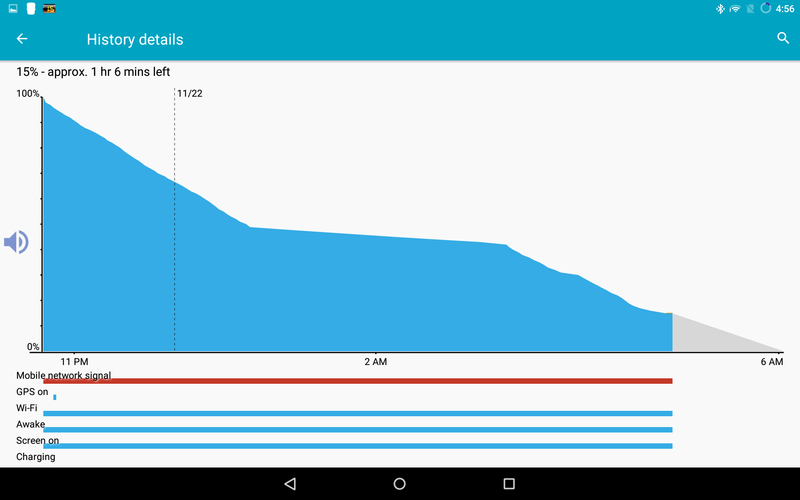 Boots up some seconds with the CM12 boot logo, then reboot. Or do I need to change the kernel there somehow too? I cannot really find a reason nor simulate here on my Pipo P9 why the latest builds (LP v1.1 and CM12.1 v1.1) crashes on your tab. Might be hardware driven. Sorry. Just realized it is the 32g 3g Version, not 16gb. Could that cause a problem combined with the Parameter file? Typically P9 has 32 GB. What is your eMMC size? I thought that perhaps the regular size is 16gb, since you let me flash CrewRKTablets_RK32_CM12.1_LP_5.1.1_parameter_16GB once. This was just to check parameters which could have an influence. Oma_RK32_P9_LP_5.1.1_v1.0a works. What changed since that? v1.0a comes with kernel #30. Does it also work on your tab with kernel #47? 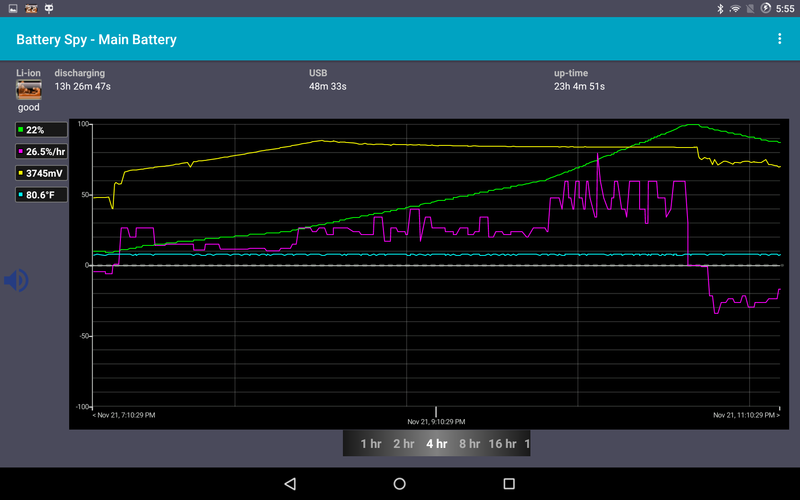 Just a word to the battery stats. The table in the kernel is crap. 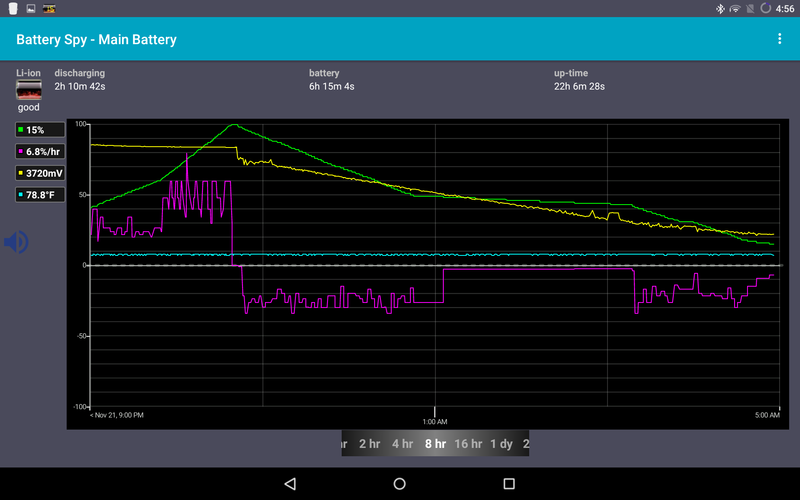 Battery voltage (yellow line) and battery stats (green line) do not have a linearity. 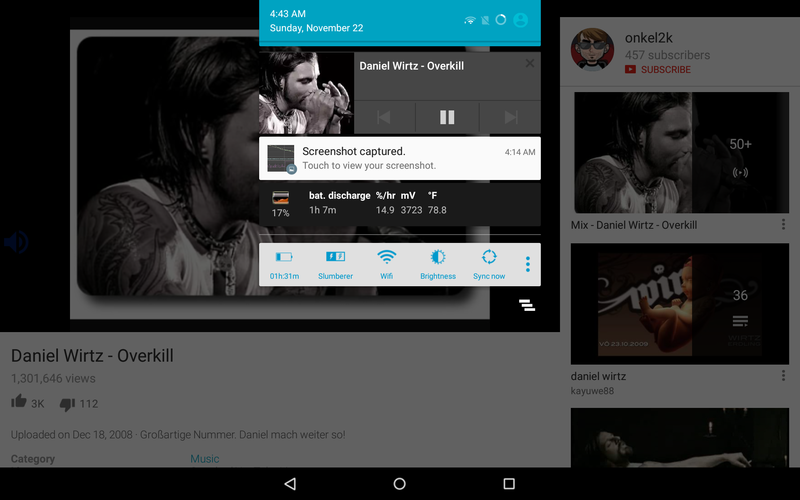 High drain test scenario was: streaming video in Youtube app with sound via Bluetooth speaker. Build should be good for 7-8 hours usage. And build v1.1 (with kernel #47) will not boot on your tab?